Hae Soo living at Jung's house but still couldn't able to forget King Wang So. She missed him a lot and wanted to see him for the last time as there wasn't much but she wanted to tell the king about her genuine feelings for him. She wrote letters and ask Jung to send them. 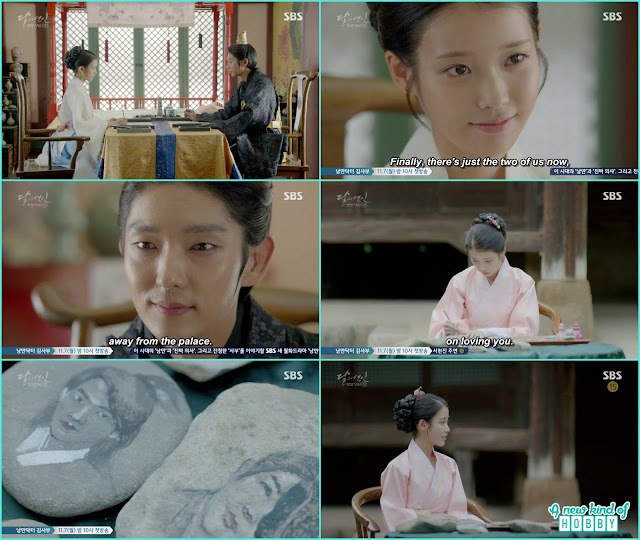 Jung knew that seeing Hae Soo's name the King won't respond as he had been angry on Hae Soo so he won't bother reading them. Other then writing letters she draw their sketches on stones and its a unique thing we saw sketches on the stones. Hae Soo blessed with the beautiful baby girl. Jung was too excited and happy as well seeing the baby. He then told the maid not to let any one knew about it and take the baby to the wet nurse. 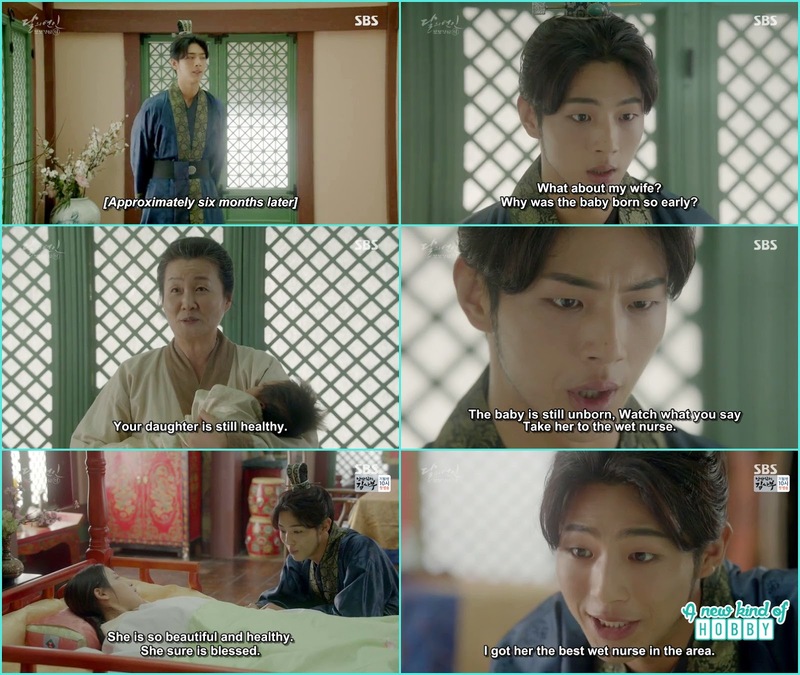 He then told Hae Soo about the baby is so beautiful and healthy and she should not worry as Jung got the best wet nurse to take care of the baby. You just have to take care of yourself. Hae Soo asked Jung to do her a favour and send someone to the palace she wanted to meet the king. Hearing this Jung was worried and ask Hae Soo does she want to show her baby to the king Thank God hae soo replied no she just want to meet the king. 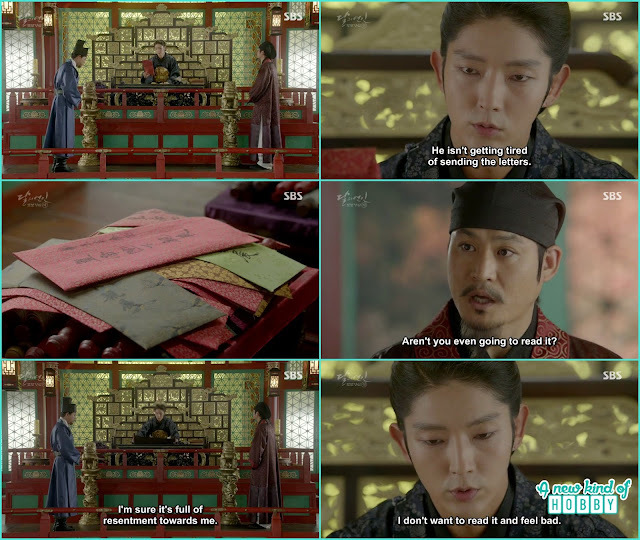 She gave Jung a letter for the king as he knew the identical to the king and also palace is not a safe place to avoid rumors and problems he je just another envelop by his name and send Hae Soo's letter with the messenger to the king. As the King was angry on Jung and Hae soo he even didn't bother to read Jung's letter. Ji Monk ask just to take a look but the king refuse the content won't be new with just full of resentment towards me. As expected the king didn't even bother to open just one letter and there was pile of letters remain unread. Hae Soo was waiting for the King to come by but of no use he didn't show up. Jung was worried for hae Soo's health as she was getting down day by day. She told Jung the king doesn't coming means he really hates her a lot. Jung told her not to worry he already send a messenger along with the letter. He wanted to cheer Hae Soo's mood and do good for her so he called the best musician from Songak. There is a saying music is the best medicine to ake your mood lighter and happier. Jung ask Hae soo if there is any particular song she want to hear but she said she don't have any. Jung ask the musician to play the best song they are at. The musician that its a song which made the King in love with the Court lady. It was the same song song Hae Soo sung on 10th Prince Wang Eun birthday. It reminded her and Jung the beautiful memories at the palace. 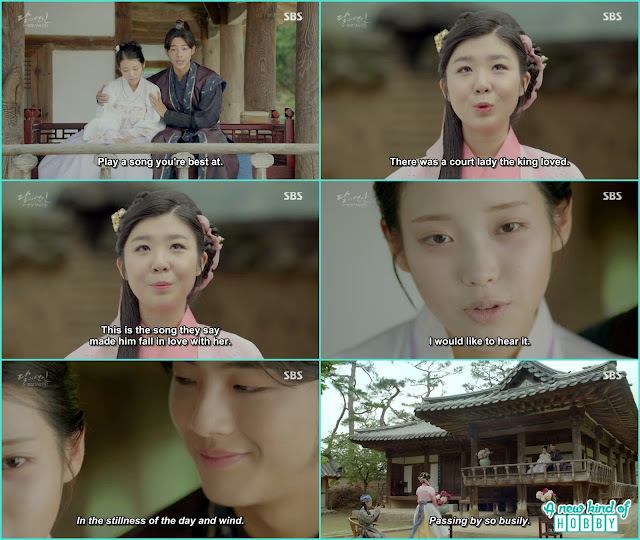 Along Hae Soo and jung we also enjoyed the song and it was few flash back scene the happy memories Hae Soo cherished the love she received at Eun's birthday from all the prince. She also remember King Wang So back then who use to love her and care her a lot and always appear with a smiley face infront of him. Hae Soo thinking of what ask Jung once he promised her that he will treat her life as his now she need that promise to be fulfilled not for herself but for her child. She want Jung to be the guardian and father of her child and not let anyone knew about hae Soo child existence. Jung become all sad and ask what's the reason she is saying such things. Hae Soo knew the King won't come to see her and she didn't have much time left as she knew its hard to survive in the palace she don't want to let her child live a hard life alone in the palace. Jung promised her and told her not to worry about anything he ask her to remember him in her next life and Hae Soo replied that she will going to forget everything even in her dreams she won't remember any of them. It was an emotional scene Hae Soo and Jung really made us cry. With those last words to take care of my daughter and not her live her in the palace Hae Soo died and left Jung alone. She sure wait for the King for a long time but life didn't gave her more.